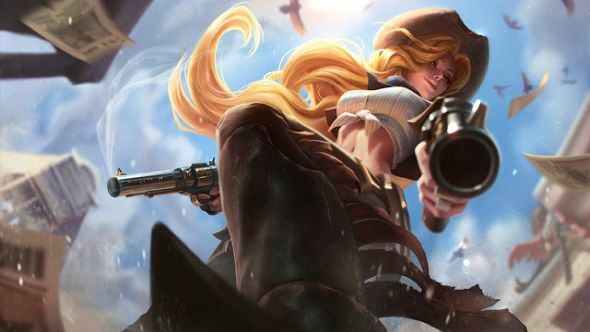 League of Legends’ next big content patch is 8.2, introducing Arctic Ops Gragas, skin descriptions, as well as a host of balance and bug fixes, including changes to Ornn, Jinx, and Support Items. Have a look below for all the information we’ve got. 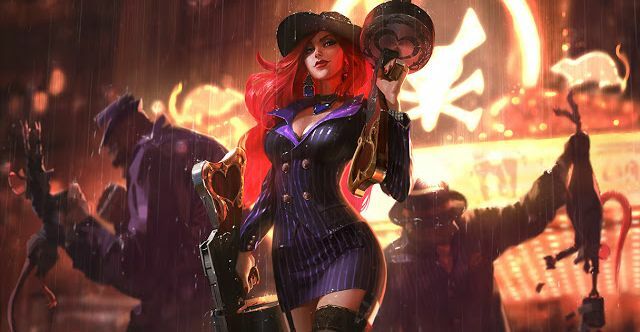 Stay up to date with the League of Legends patch 8.3 notes. 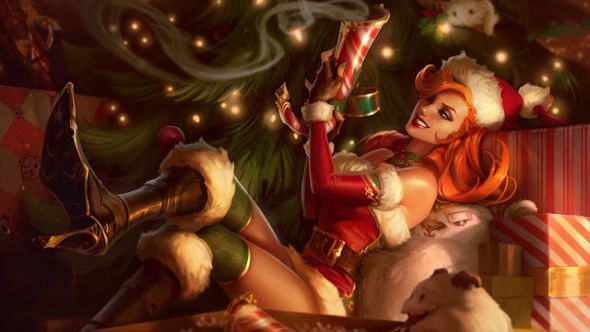 We don’t know the exact release date for patch 8.2 yet, but the schedule is bi-weekly so expect it on Wednesday January 30. We’ll update when Riot do, but keep an eye on theserver maintenance pagefor the latest updates. 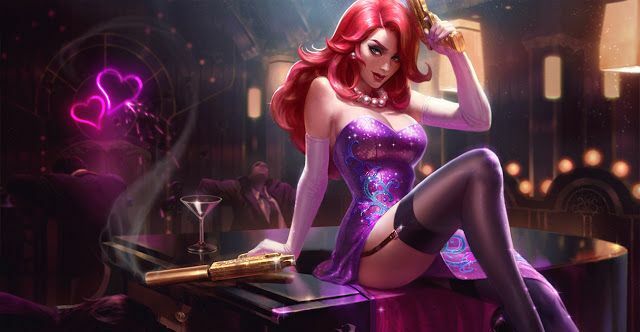 On that note, Riot have recently announced changes to League of Legends’ patch schedule. The new system will see major gameplay updates arrive every four weeks, instead of every two, although there will be smaller balance and bugfix changes in between. Bonus attack speed at level one increased to 10% from 0%. Unempowered damage decreased to[3% max health (+1.5% per 100 AP)] from[4% max health (+2.5% per 100 AP)]. Empowered damage decreasedto [4% max health (+2.5% per 100 AP)] from[6% max health (+3.5 per 100 AP)]. Damage decreased to 15/40/65/90/115 from 35/55/75/97/115. Base AD decreased to 61 from 66. AD growth increased to 2.7 from 2.41. Attack speed uncaps when Jinx is excited. Bonus attack speed increased to 30/55/80/105/130% from 30/40/50/60/70%. Minigun attack speed no longer scales with Jinx’s level. Bonus AD ratio decreased to 0.2 from 0.4. Bonus AD increased to 120% from 110%. AP ratio decreased to 65% from 80%. Cooldown increased to 140/110/80 seconds from 120/100/80 seconds. New effect: Well Fed now additionally grants 3/5/7/9/11 (+5% AP) magic damage on basic attacks, stacking up to five times. New effect: Now additionally increases AP by 40% for both targets (up to a maximum of 40/60/80/100/120 AP). Advance is no longer unstoppable. Cooldown increased to 140/120/100 seconds from 130/100/70. No longer blocks or is consumed by siege minion attacks. Mana cost decreased to 50/55/60/65/70 from 60/65/70/75/70. Attack speed growth decreased to 3.3% from 4%. Bonus AD decreased to 20/30/40 from 30/50/70. Quest gold value decreased to 500 from 750. Mana restored when an echo hits a large monster increased to 25% from 15%. Armor and MR changed to [70-120] from [20 + 30%]. Explosion damage changed to [10 – 120 (3% of your max health)(+15% of your bonus attack damage)(+10% of your ability power)] from[40 – 140 (+3.5% of your max health)]. Vision radius increased to 450 units from 350 units. Ranged atttack slow increased to [30-40%] from [20-40%]. Freeze Ray slow increased to 60% from 50%. Damage decreased to 7% from 9%. Cooldown increased to 70-40 seconds from 45. Shield value changed to 70-150 from 60-150. AP increased to 0.25% from 0.2%. Bonus health increased to 12% from 10%. Drop rate significantly decreased in the first 15 minutes of the game. After 15 minutes, drop rate slightly decreased for melee, significantly decreased for ranged. Sell values decreased by around 20%. Damage decreased to [5%-11%] from [5%-12%]. Gold on takedown decreased to 20 from 25. Ward duration changed to 60-180 seconds from 180 seconds. 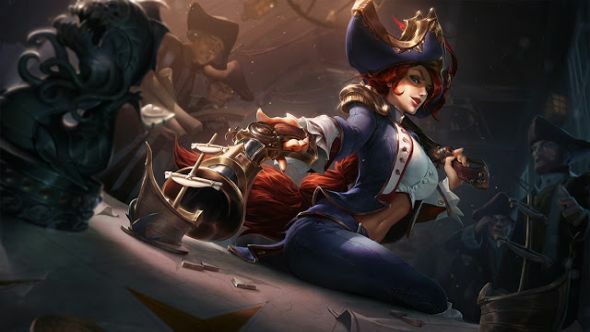 There are no skins coming out this time around, but Patch 8.2 will introduce skin descriptions. These small snippets of lore will be gradually worked into the game over time through the new Skins Collection tab. You can find out more here. You’ll also now be able to see which skins your allies have selected in the pre-game lobby – more info here. Each patch has its own login screen with unique music. 8.2 is currently showing off two different login screens for the start of the new season. Visually they’re pretty much the same, but each has a different set of music in behind it. You can check both of them out below. The biggest change in 8.2 is the removal of Sightstone from the game, so here’s an explanation of the hows and whys of that decision from ItsLowbo. Here’s Meddler with the first gameplay thoughts of 2018, discussing game pacing, upcoming changes to Rengar, and the ups and downs of patches 8.1 and 8.2. They were followed up with gameplay thoughts from January 10, discussing minion aggro and changes to Unseasled Spellbook. Gameplay thoughts from January 12 discuss changes to Sightstone, and the addition of vision score to the scoreboard. Gameplay thoughts from January 16 discuss upcoming changes to Lucian (coming in 8.3 or 8.4, and visual updates to Cho’gath’s spells coming in patch 8.3. 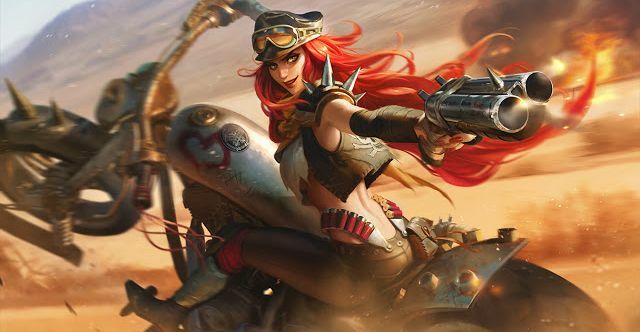 Here’s context on the changes to Guardian and Aftershock, and the Jinx changes, as well as the release timings for the skins currently on PBE. Minions now have an ‘inventory’, explaining some of their mechanics, such as taking reduced tower damage and giving buffs to surrounding minions. Some further changes to turrets will be coming in sometime this cycle. 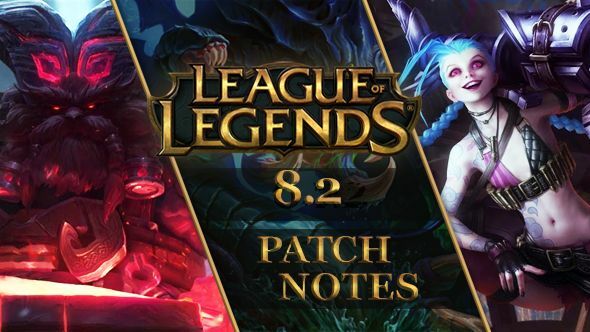 That’s League of Legends patch 8.2. We’ll update as and when we get more info, or we’ll see you for patch 8.3 in the very near future. Let us know below if there’s any vital info we missed!